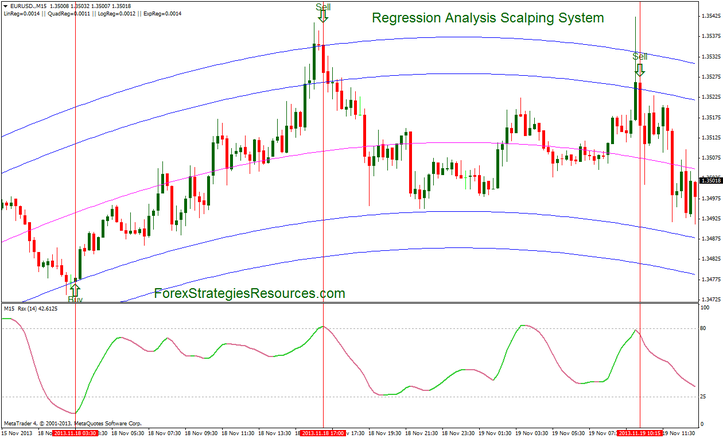 Regression Analysis Scalping System is a forex strategy based on two regression indicators and on the RMI on RSX indicator. Currency pairs Major, Metals and Oil. RMI on RSX smoothed indicator (length 14, momentum 5, price 5, level OB 80, level OS 20). After you execute thr regression Analysis salping system on your MT4 chart, check andsee if the price touches or broken the upper or lower blue lines. RMI on RSX is an momentum indicator. momentum indicator turns green, then execute your order and take profit and stop loss. momentum indicator turns red, then execute your order and take profit and stop loss. that which is 10 pips. length (14) OB level 75, level 25 OS. 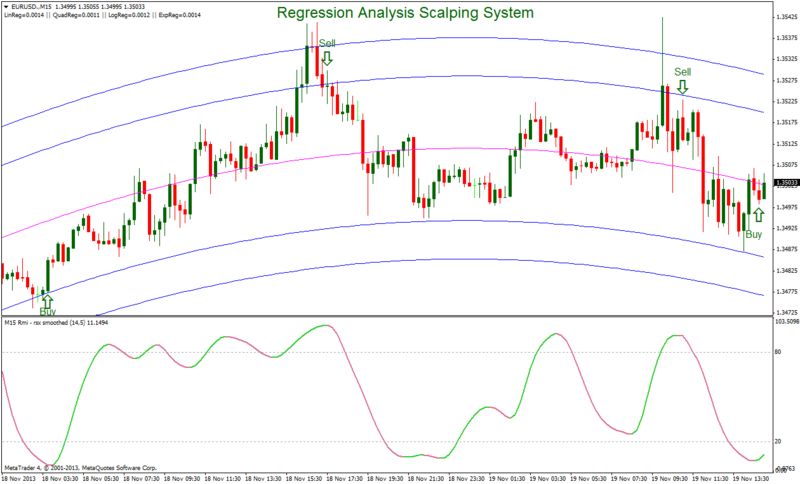 What is the difference between RMI and smoothed on RSX RSX rnp MTF in this scalping system? With RMI RSX smoothed on the trading approach is more conservative. With RSX NRP MTF trading approach is more aggressive. In the pictures below Regression Analysis Scalping System in action. If you do not know what a regressive price analysis is, do not criticize that you are an ignorant figure. Study some statistics !!! !